PC Charge Pro can reduce fraud and provide powerful performance at the point-of-sale. PC Charge Pro is effective under many different environments including retail stores, direct marketing companies, mail-order/ telephone order businesses or websites. 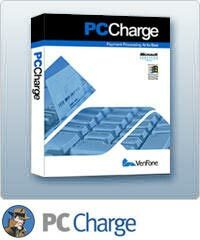 PCCharge™ software turns any PC into a payment-accepting and processing device without interfering with other programs. The application offers intuitive menu screens with action buttons that guide users through the program. PCCharge supports a wide range of peripherals, making it easy to accept all payment types including credit, debit, EBT, check processing, gift/loyalty, and more. PCCharge is a cost-effective solution for all business types including brick-and-mortar merchants, e-commerce, and mail order/telephone order shops. All of our software is upgradeable so it won't become obsolete! * The basic PCCharge Pro package includes one user license and the ability to add one merchant number. There may be a fee to add additional merchant numbers and/or user licenses. PCCharge™ is currently certified with the following processing companies. The Credit Card Processing section of this matrix shows that some credit card companies have proprietary check, debit, EBT, and gift capabilities. If your credit card processing company is not one of those, you can still perform check/debit/EBT/gift transactions through one of the non-proprietary check/debit/EBT/gift processing companies. Check with your credit card processing company for more information. Bookmark this page, as we're constantly adding new processor certifications. This document is also available in Adobe Acrobat Reader (PDF) format and can be accessed by clicking here.